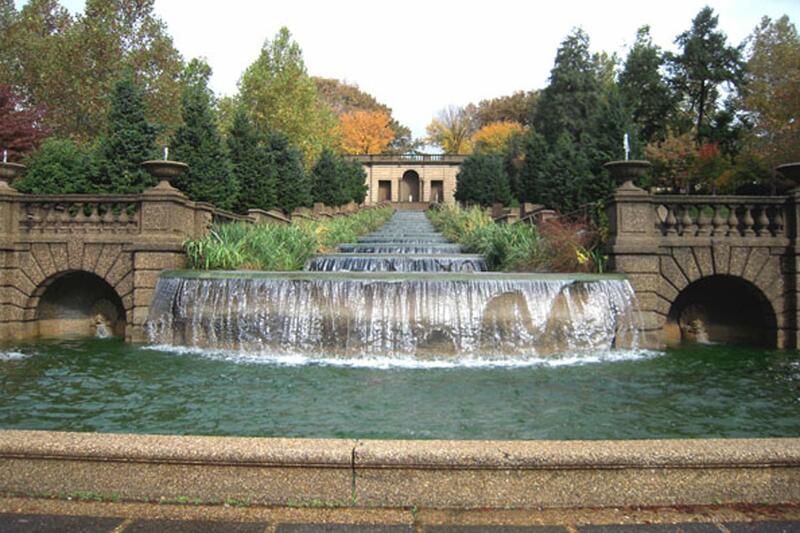 A central feature of Meridian Hill Park, in Washington D.C., is a thirteen basin architectural, cascading waterfall. 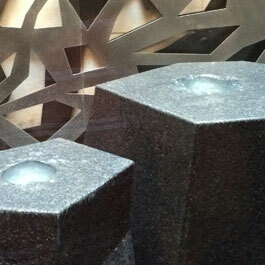 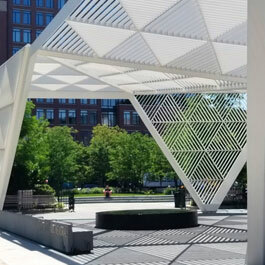 The park was designed for each basin to cascade into the next, creating an architectural focal point. 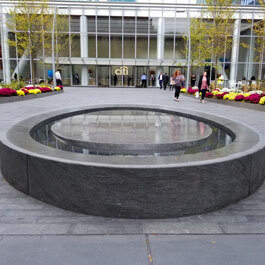 The waterfall design was created for water to flow from one to another basin. 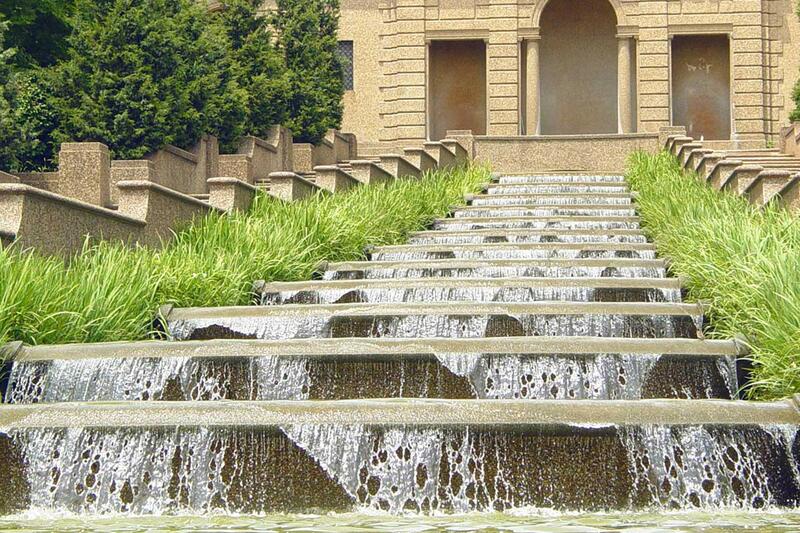 The cascading waterfall overflows from one basin to the next on its long step-by-step descent to a lower-level collection pool. 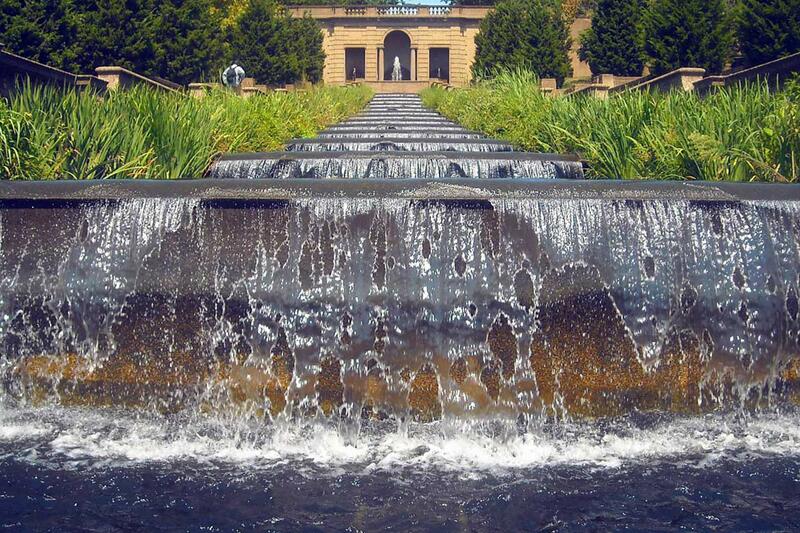 Greenery borders each basin level, and separate the water from the visitors walking along the sides of the waterfalls. 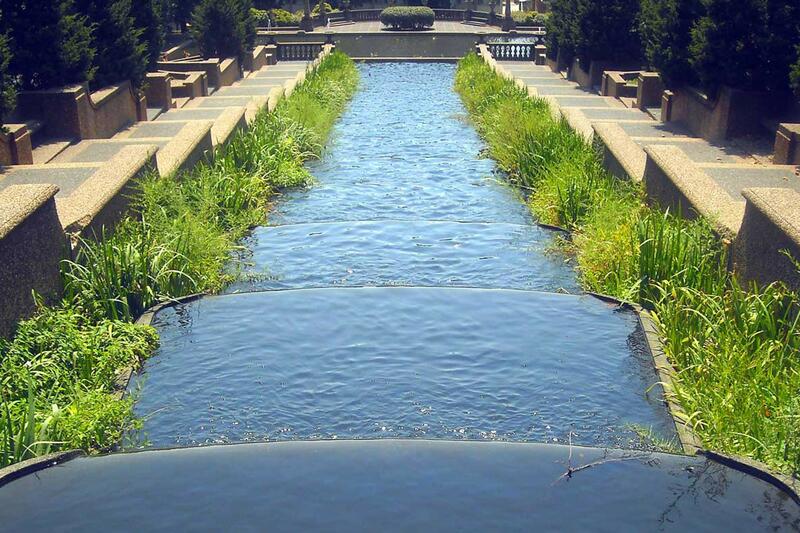 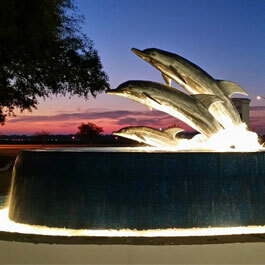 The unique water feature and the surrounding 12 acres of landscaping are maintained by the National Park Service.